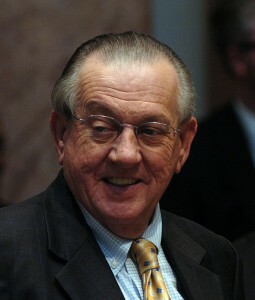 FRANKFORT, KY– Rep. Larry Clark was instrumental in securing the state’s portion of funding for indigent medical care provided through the Quality and Charity Care Trust Agreement (the “QCCT”). The QCCT is an agreement among the Commonwealth of Kentucky, Louisville Metro and the University of Louisville to provide medical care at the University of Louisville Hospital for individuals who do not qualify for Medicaid and who are economically disadvantaged patients. Both the Commonwealth and Louisville Metro appropriate funds in their respective budgets to support the program. The Commonwealth provides funding of approximately $20 million in each year of the two-year state budget, while Louisville Metro’s portion is more than $18 million over the same period. In 2011, 61,000 people were treated at the U of L Hospital under the QCCT. 48,000 of these came from Jefferson County, with the rest from 109 other counties across Kentucky. Many of these individuals are employed but lack health insurance. Over the past several years, the City of Louisville has reduced its annual contribution from approximately $9.5 million per year to around $7 million. In its version of the state budget, the Kentucky Senate reduced the state appropriation by around 27%. This reduction represents the same percentage by which the City has reduced its support. Accepting the Senate budget would have resulted in a cut to the QCCT of around $11 million. Rep. Clark persuaded the budget conference committee to adopt a modified version of the House appropriation for the QCCT, restoring $20 million in the first fiscal year of the budget and $21 million in the second year, saving the program from a reduction that would have seriously diminished the hospital’s ability to adequately care for the state’s working poor. Under the enacted budget bill, state support for the QCCT would be reduced only if Louisville Metro reduces its own appropriation. Larry Clark has represented the 46th Legislative District in southern Jefferson County since 1984. He has served the House as its Speaker Pro Tem since 1993. Clark has maintained a 100% voting record throughout his 28-year career in the Kentucky House of Representatives. For more information, visit http://keeplarryclark.com.